Filled with Clotted Cream Biscuit Sealed with Digital Printed Wrapper. Minimum Quantity: 144. Spearmint Flavour. 12 or 6 Piece Blister Pack. Minimum Quantity: 500. With abundance of extravagant premium foods & beverages selected from numerous resources, we give you the privilege of choosing from an extensive range of items. We work diligently to offer you the most finely flavored, mystifying, magnificent and unmatched products encapsulated which will help you represent the value of your brand in a more meaningful and exquisite way. 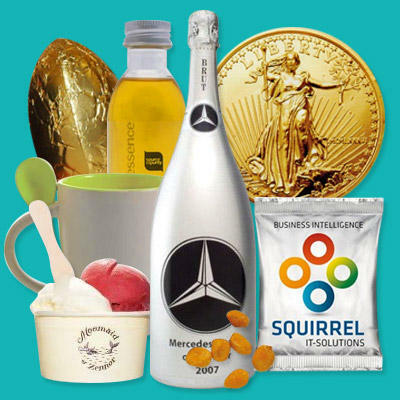 The wide range of these products will sell your brand in today's competitive market and will serve the purpose of bulk gifting (whichever you chose). We bet our bottom dollar that you'll experience an irrefutable quality in every bite you'll savor. We use the finest ingredients to combine up with most lavish flavors to help you feel the said experience. Being a customer oriented company; we will always bring you the superior service, best products at the most reasonable prices.